I abandon my Microsoft Lumia 650 on the basis that the whatsapp platform not longer functioning. Any update as regards to this now. Windows 10 Mobile is pretty much dead these days. To those thinking buying any phone with WP or W10m... don't do it. The first one is dead and the other is soon to be dead in december of this year, MS will end official support to W10m so in a nutshell, all Windows Phone and W10m devices are dead OS. Buy an Android or iOS. The 650 received yet another update. Software bug fixes and security updates. i think Google pays Microsoft to keep them from Smartphone Business. Windows is pretty sick OS, and could have dominated if Microsoft were enthusiastic. 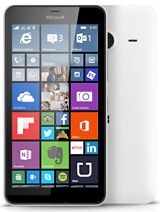 Lumia 1020 imo has the sexiest design on smartphone ever. We get rid of tham and switch to androit. Not that Android is bug proof. Anonymous, 01 Nov 2018This is v. good! Why everybody must be forced to switch to the other stupid OS?Recently another update was seeded to the Lumia 650. Also the Lumia 30 still gets updates. I think mainly security patches and some bug fixes. But Windows still pushes updates for an OS long overdueÂ… very good. Anonymous, 27 Nov 2018Depends. Maybe are and people who don`t like a phone full of all kind of stupid crap apps they... moreBut there is a 100% chance you'll want/need an app that is available for Android and/or iOS and is not available on Windows 10 Mobile. If you don't use apps, I think you're better off with a less expensive phone or even a feature phone. Catherine the Great, 06 Nov 2018The reason has to do with app supportDepends. Maybe are and people who don`t like a phone full of all kind of stupid crap apps they don`t use all even 1 time in the month! Besides it`s true Microsoft has a strange policy to kill all the apps, offering 0 support and force the users to abandon their OS. Aadrian , 29 Aug 2018Updates are still being pushed. Recently received anupdate on both the Lumia 650 and 930.This is v. good! Why everybody must be forced to switch to the other stupid OS? probably one of the best the camera and the colours of this fone are amazing!!!!!!! !the fotos unbelievably...!!!!! Updates are still being pushed. Recently received anupdate on both the Lumia 650 and 930. Ben, 12 Aug 2018I've had this phone for for a little over 2 years now. I like the way the OS looks, and how yo... moreIf you dont like it - nobody pressed you not to buy your googles androids phones! What a propaganda here when talking about a Win phone! 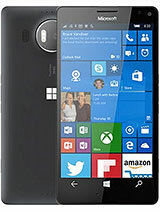 Windows 10 mobile is not discontinued but they dont produce anymore phones (Microsoft), there are until now critical security updates receiving. Find more information about! 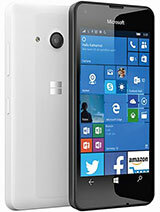 Win 8 phone instead is already discontinued. But every mobile OS had advantages and disadvantages. Besides, why everybody is forced now to buy/have/use only and only androids in 2018? Where is the freedom to choose in a free market?!? Android is a monopoly google OS, mainly for children in their 20-s. A stupid OS, childish, cheap, full of viruses and bloatware! With updates almost every day (if not every 3-5 hours!) - eating memory/battery like mad! Conclusion: to remain in 2018 with only 2 monopoly OS - android & IOS - this is really stupid! I've had this phone for for a little over 2 years now. I like the way the OS looks, and how you can customise your home screen. It's a really nice modern looking GUI. Unfortunately the phone has far too many flaws to make it worth buying. 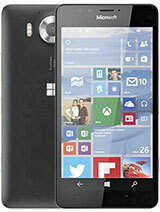 First note that Microsoft has discontinued their mobile phones, so that should be enough to sway you. Other flaws include a buggy OS prone to crashes, slow browser (Internet Explorer), slow phone in general, low app developer interest, No access to anything by google (No google maps. Which reminds me; The native map app is awful and unreliable), bad setup for volume control, low ram, No noticeable advantage for using the phone with a PC running windows. AnonD-751523, 09 May 2018Going to be my first and last Windows 10 Mobile device. I can't stand the OS, as it's buggy, s... moreGotta be your install. 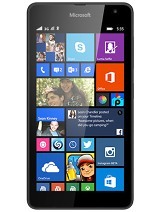 I'm on my 4th Windows phone and every one has a fast open. Less than 15 seconds with storage memory maxed. I'd hose it and reinstall. if there's a Microsoft store near you they'll probably help you out to make sure it goes correctly. In case you're thinking "shill," I've been using an PowerBook/MacBook for more than 15 years. I'm cheap, but willing to pay for value. 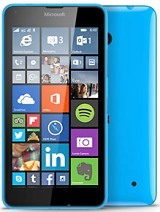 Windows phones are a GREAT value. 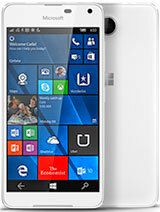 Total of 1087 user reviews and opinions for Microsoft Lumia 650.